NEXA Music is based on the brand philosophy ‘Create. Inspire’ that caters to the constantly connected, more demanding, urban metropolitan and evolved NEXA consumers. Maruti Suzuki India Limited today announced the launch of NEXA Music. It is a first of its kind platform for music aficionados across genres to create original international music of global standards. 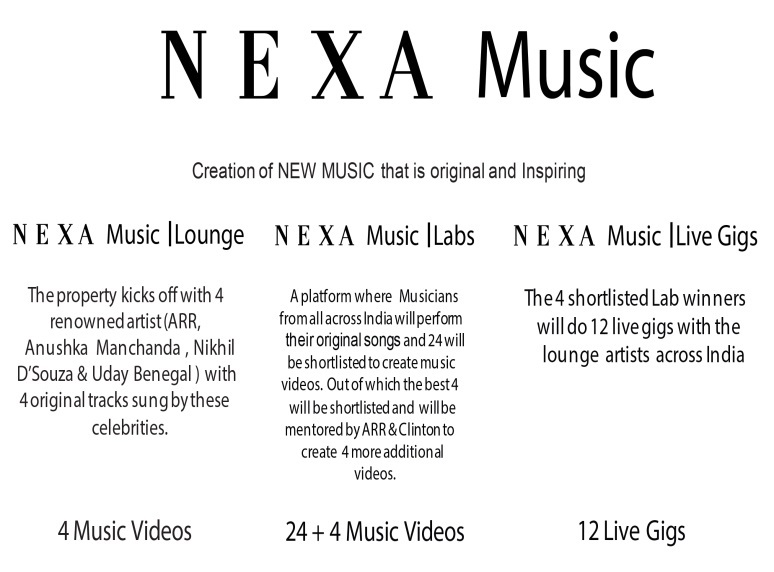 The unique initiative by NEXA is curated to provide aspiring Indian musicians a platform to compose original lyrics. 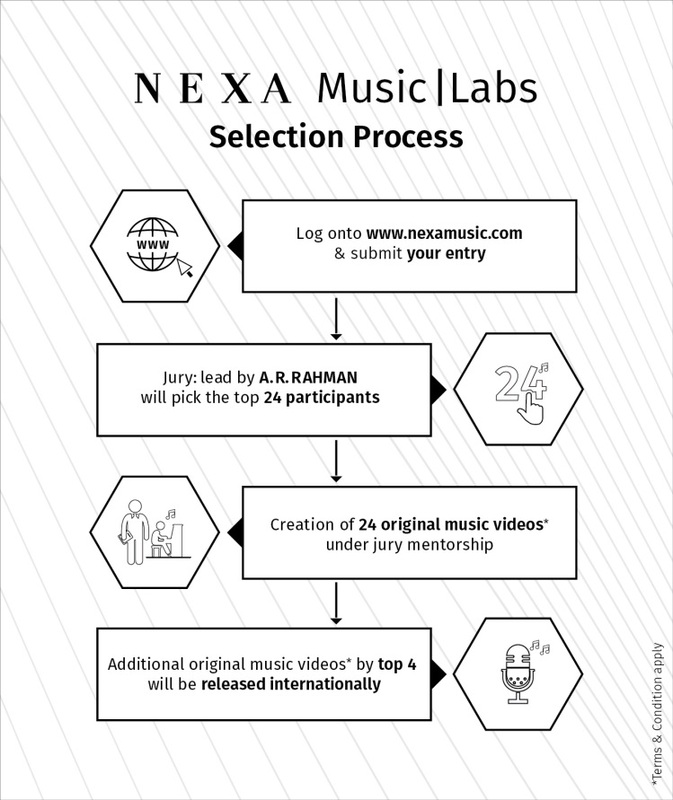 NEXA Music invites entries from budding musicians across the country to participate. The participants will be mentored by famous music composers and global music icon A R Rahman, supported by Clinton Cerejo. We are glad to announce this refreshing new initiative“NEXA Music” to create original international music and discover aspiring musicians. The launch of NEXA Music opens new horizons for musicians and aids us build lifestyle experiences for NEXA customers. This music platform connects to brand NEXA’s core belief to create an exciting new world of mobility that is both inspiring and aspiring. It is a matter of great honour to be associated with global music icon-A R Rahman, the man who has earned prestigious international recognitions. NEXA Music stands for originality to connect with people beyond borders and barriers. I am confident that NEXA customers will cherish moments from this musical journey. NEXA and my company Qyuki share a common goal. We want to provide independent artists creating original English music a real opportunity to be discovered and promoted on a global stage. With NEXA Music any deserving artist stands a chance to collaborate with some of the best bands in the industry to produce music that reaches audiences across the world.